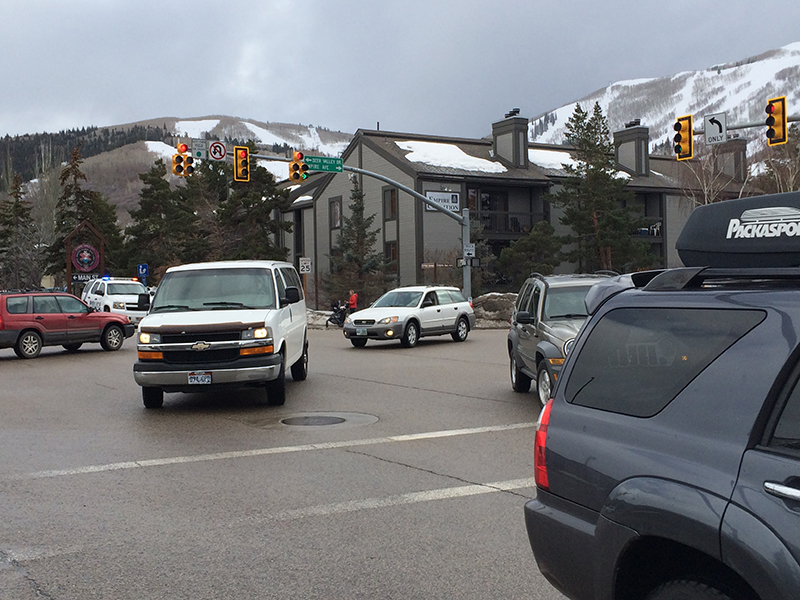 The Treasure partnership in February conducted a traffic study at key locations like the intersection of Park Avenue and Deer Valley Drive, shown on the day of the study. A Treasure-hired firm has found the roads can adequately carry the traffic the project is anticipated to generate. The roads close to the proposed site of Treasure can adequately carry project-related traffic in combination with a series of steps the project intends to take to reduce the number of trips in vehicles, a pivotal study conducted on behalf of the development partnership has found, a determination that will embolden the developer but will almost certainly be rejected eventually by project critics. The various sides in the Treasure debate have awaited the results of the study since a consulting team over the busy Presidents Day weekend counted vehicles at key intersections expected to be impacted by project-related traffic. 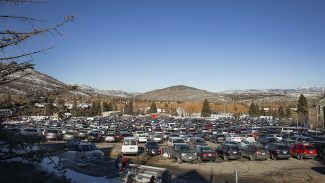 The study will be a crucial document as the Park City Planning Commission continues to discuss the difficult issue of Treasure-related traffic. The panel is expected to listen to a presentation about the study at a meeting on Wednesday, but more detailed talks are expected at later meetings. The report detailing the study, drafted by a Treasure-hired firm called Triton Engineering, includes an important finding that “the roadway network can facilitate the traffic needs” of the existing cars on the road and the traffic that Treasure is anticipated to generate. Planned road improvements, such as at the intersection of Empire Avenue and Silver King Drive, “will allow the intersections and roadways in the study area, even with the Treasure Hill development, to operate at an acceptable level of service in the future,” the report says. The Treasure side, which has long argued the roads and intersections will be able to adequately carry project traffic when coupled with a broader transportation plan, is pleased with the results of the study. 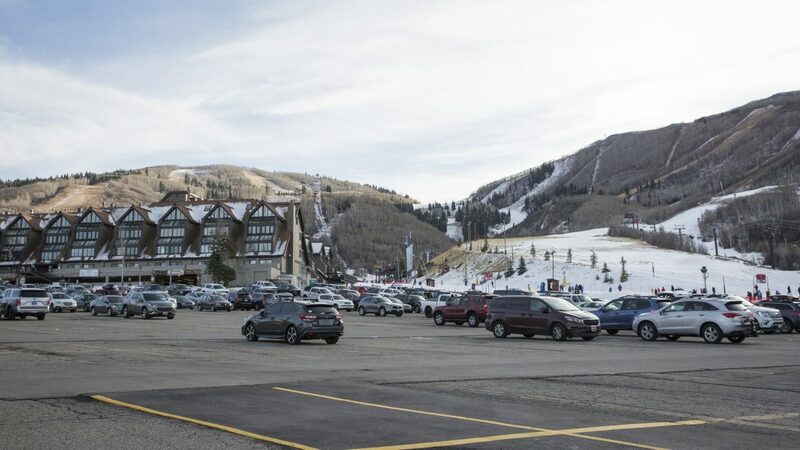 The Treasure partnership involves the Sweeney family, which is the historic owner of the land, and a firm called Park City II. LLC. The land is located on a hillside overlooking Old Town along the route of the Town Lift. “Using our property will not adversely affect the level of service on city streets. That’s the most important thing,” said Pat Sweeney, who represents his family in the Treasure discussions. The Treasure blueprints include a series of steps meant to reduce traffic, one of the top concerns of the opposition. The opponents argues streets like Lowell Avenue and Empire Avenue cannot accommodate the project traffic even if the partnership takes steps to reduce vehicle trips. Sweeney said important traffic-reducing steps that would be taken include a people mover known as a cabriolet linking Treasure and Main Street, skiing access to the project and the inclusion of commercial space in Treasure that would cut the need for people staying at Treasure to travel off the property in vehicles. “You can reliably reduce the number of trips,” Sweeney said. The traffic study in February was the first of its kind conducted regarding Treasure since one was undertaken in 2005, during an earlier round of the long-running talks about the project. The study in 2005 was also conducted during Presidents Day weekend at most of the same locations. the intersection of Empire Avenue and Silver King Drive, where 314 cars were counted in the morning in 2005 while 438 were counted in the afternoon that year. 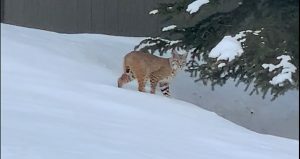 In the study in February, the numbers jumped to 1,545 in the morning and 1,418 in the afternoon. the intersection of Empire Avenue and Shadow Ridge Road, where 188 cars were tallied in the morning in 2005 and 303 cars were counted in the afternoon. The counts increased sharply in February, to 927 cars in the morning and 937 cars in the afternoon. the intersection of Park Avenue and Deer Valley Drive, where 2,302 cars were tallied in the morning in 2005 and 3,503 were counted in the afternoon. The count in February showed the number in the morning increased to 2,438 while the afternoon figure dropped to 3,069.The report, meanwhile, provides a projection of the number of cars Treasure will contribute to the overall numbers once the traffic-reducing steps are taken. The study found that Treasure will add 109 vehicles in the morning peak and 160 in the afternoon peak. A hotel at Treasure would generate the most traffic in the morning – 49 cars at the peak hour – while commercial space would generate the most during the peak hour in the afternoon with 61 cars.Various parties early in the week were reviewing the traffic numbers, but they declined to discuss them in any depth.Francisco Astorga, the City Hall planner assigned to Treasure, said an internal meeting is anticipated this week with the Park City engineer and the municipal government’s transportation planning manager about the data. Staffers were also slated to meet with the Treasure partnership about the traffic report this week. 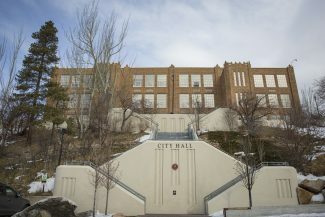 Astorga said it was too early to determine whether City Hall staffers agree with the findings.The Treasure Hill Impact Neighborhood Coalition, an opposition group, had not reviewed the report by Monday afternoon. Brian Van Hecke, the group’s leader, though, said worries about traffic remain. “Traffic and safety are a significant concern of ours regardless of the report they provided,” Van Hecke said. 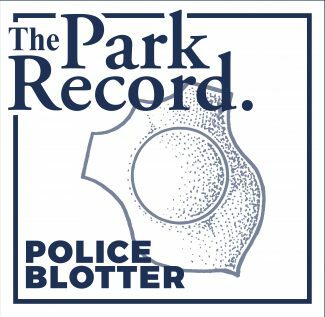 The meeting on Wednesday is scheduled to start at 5:30 p.m. at the Marsac Building. An agenda for the meeting indicates questions from the public will be allowed.